Let’s start with some perspective. The Stage III power cords, especially the Proteus, the subject of this review, and its siblings at the top of the Stage III pantheon, are not for the faint of heart. We’re not talking about any other power cords that purport to improve over stock cords. We’re taking about power cords that compete at the very highest echelons of esoteric audiophile stock. 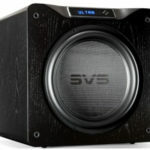 The competition includes Nordost Odin II, Tara Labs Grand Master Evolution, Stealth Dream V16 UNI, PranaWire Avatar II and Siltech and Elrod entries; and this doesn’t even get to the “affordable” high end cords like the JPS Labs Aluminata, Synergistic Research Galileo, Silent Source Music Reference and Shunyata Sigma NR. We’re talking about power cords that retail at $12k plus, depending on length. In the pecking (pricing) order of Stage III power cords, the Proteus fits in just under the Leviathan and above the Kraken, for which there have been several reviews of the two that you may want to check out for perspective. The Leviathan was designed to be the main source of power for your whole system and the Kraken to address the needs of high power amps. The Proteus ups the ante on the later. I wasn’t able to compare it head to head with either the Kraken or Leviathan, both of which are “monsters” in name and physical characteristics, but the Proteus, despite its name, which is derived from the name of the original Greek “old man of the sea,” is definitely a monster itself and clearly meant to be used with power amps. A.S.P. 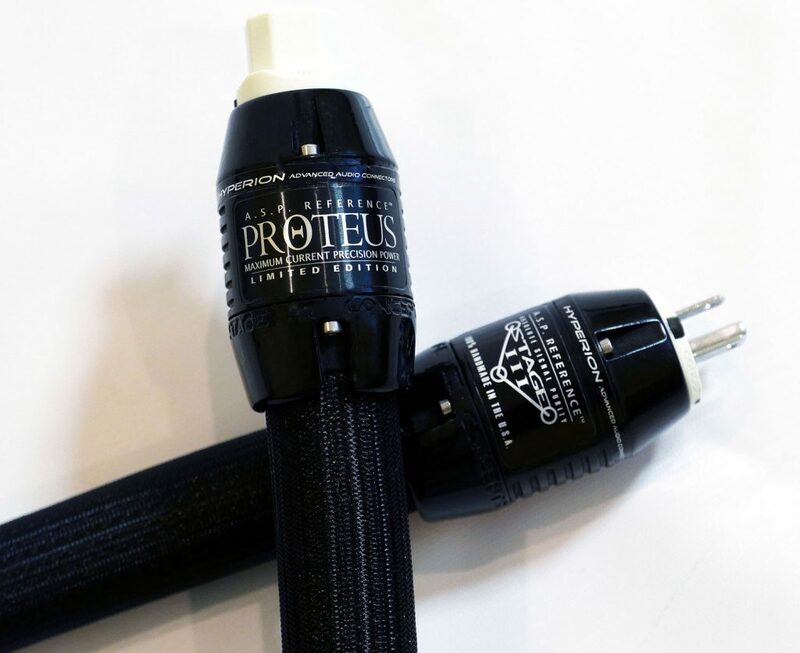 PROTEUS power cables employ 4×2 heavy-gauge Cryo-treated, custom slow-extruded silver/palladium AeroStrandUltra™ ribbon conductors. Air dielectric with FEP Teflon air-tubes. Multi-layer shield with H.D.A. 100% radiation invulnerable foil + plated copper braid. Geometry consisting of 4 individually damped and shielded stacked dual conductors in a quad helix configuration + heavy gauge plated silver ground wire shielded with silver plated braid. Multi-layer construction with soft-polymer tubing + HDA alloy/ceramic/ferrite extreme mechanical damping/shielding layer. Custom, hand made proprietary polymer/fiber plug + cable housings. Like other cables where you have to take one out and insert another, power cords are fiendishly difficult to evaluate. Performance-wise, it’s especially tough to have to decide what to do about cables that somehow cause a perceived increase in volume. Has it cut something out or added anything? What the heck was that piece of music supposed to sound like anyway? From my perspective, what I have is average experience with a range of power cords, but I’m not close to being an authority. In particular, you will note that even though I’ve had several uber cables for my speakers and components, the list of uber power cords is short. A number of years ago my ears settled on Lessloss power products, and I’ve stuck with them. Hence they will be my primary source of comparison in this review. - Custom, hand made proprietary polymer/fiber plug + cable housings. 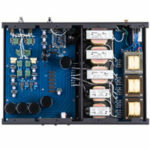 I am puzzled, but interested in the improvement you speak of with the Pass Labs Amps. I have been told by Pass Labs that aftermarket power cords make no difference in their amps, due to their design. Other Pass owners have also stated they heard no difference in upgrading power cords on their Pass amps. You do not agree with this recommendation ? Hi Mike – I’m familiar with the fact that Pass states that PCs don’t make a difference with their amps. Though that has generally been my experience with tonality, speed, attack, decay and most other Pass amp characteristics, on a few occasions I have heard very subtle changes in soundstage width with some PCs I’ve tried on Pass amps. 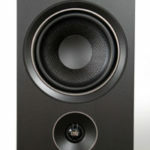 Quite frankly, I was at a loss to explain my experience with the Proteus on my “big” amps. That is why I felt I had to be very specific about the effects with each amp playong different types of music. The results did not match my original expectations (prejudices?). Furthermore, I don’t know whether the results would have been different if different Pass Labs amps were involved. The only other thing I can say is that the differences, though clear to me, were still subtle. 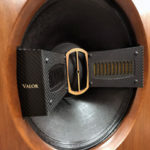 I know there are many people (normal non-audiophiles) that would not acknowledge any difference, and probably a good number of audiophiles who say the differences were too subtle and subjective to be reliable. The improvements you heard are similar to a review of the Siltech Ruby Hill, by another reviewer. Both have in common, heavy silver alloy conductors. I find it interesting, but 18K is not my budget range for components. More that a amp, preamp and speakers and this is a power cord. This is what is killing our hobby and reviewers go along with this farce and promote it. Thank your for your readership and comment. I’m not sure I understand you: You are visiting a web magazine purveying the use of audiophile-grade products. You have no need to convince me or our staff, for we know what we hear. Instead, I encourage you to invest in just one premium power cable and use it for a month. Then, replace it with your generic power cord. See if you don’t miss the performance of your system with the premium power cable.